There’s no one-size-fits-all approach to growing a social media following that makes sales. 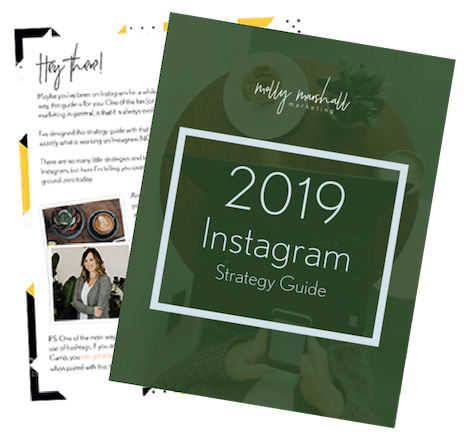 Learn what’s working now to build your brand, authority, and credibility on Instagram in 2019. Growing an online presence is truly one of the simplest things to do. After working in dozens of industries, with hundreds of small businesses, I know that social media strategies are like snowflakes… no two are alike. This can be enormously frustrating when you are a business owner trying to DIY your marketing. That’s why you won’t hear the words “always” and “never” come out of my mouth when I’m teaching you how to grow a booming online presence. Instead, I’m going to give you the complete framework to blaze your own trail, online and beyond. There is little in this life that excites me more than cracking the online code for YOUR business. If you are an action-taker with an “I can figure this out” attitude, let’s work together on writing your own rules. 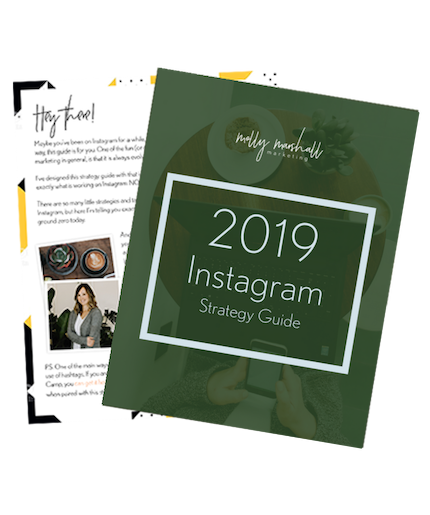 Learn what’s working now to build your brand, authority, and credibility on Instagram in 2019. From custom, in-depth, done-for-you social media strategy, to personal Instagram and Pinterest account reviews, we’ll work together together to develop a holistic plan for your social media efforts. 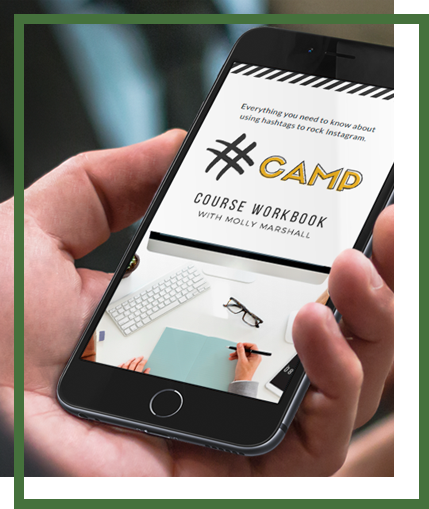 With Amp Up Your InstaGame and Hashtag Camp, I’ll help you grow your business through the strategic use of Instagram. I followed Molly’s advice, and in less than a month I had 1,500+ new engaged followers, and it hasn’t slowed down. 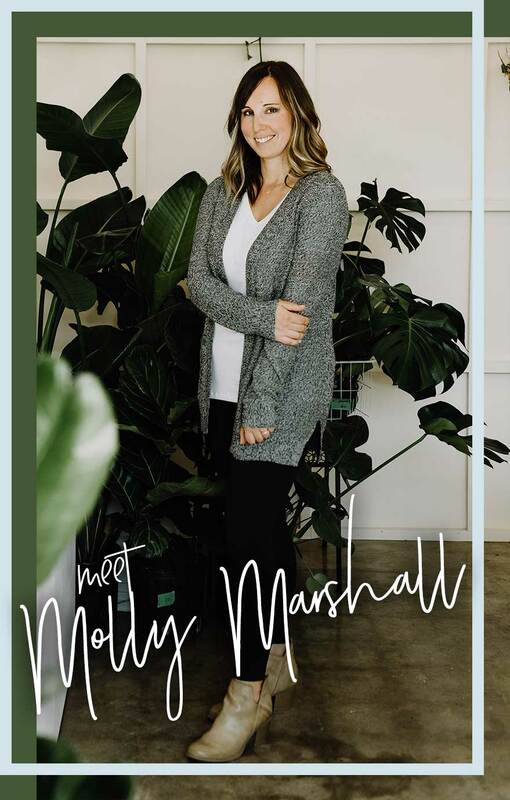 After a successful corporate career in marketing, I turned to working with small business owners and online entrepreneurs, teaching them how to systematically and simply grow an online presence that they can make money from. 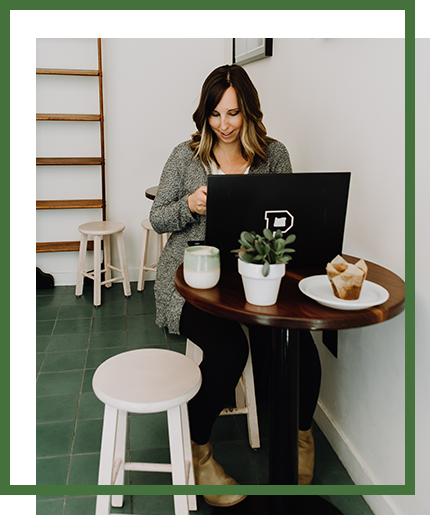 Through my award-winning blog, weekly live show, and online courses, I’m known for my approachable, “let me show you how” advice that proves growing a small business through digital marketing is simple… all while never pretending that it’s easy.